The Fourth of July used to be one of my favorite holidays! Growing up, the whole neighborhood would get together for a BBQ and firework display. It was a blast!!! But it is difficult to enjoy it as much when you have a loved one obviously in distress. Depending on breed, dogs can hear 10-100 times better than humans!!! Imagine how scary the sound of fireworks and thunder must be with that hearing capacity! No wonder the Fourth is a difficult time for many pups. To be able to enjoy the wonderful celebration I need to know my dogs are okay. I want to share with you the natural remedies I use for my dogs. 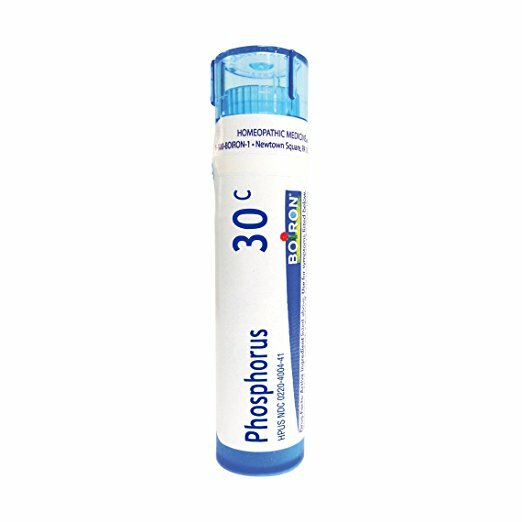 The biggest thing I do is give my pups a homeopathic remedy called Phosphorus 30C. I’ve included a link but it can usually be found in natural food grocers or natural food sections. I am not a big fan of sedating or drugging dogs, which is why I love this natural product. As a homeopathic remedy, it works naturally. No side effects, no drug interactions, and no contraindications. It will help them reduce anxiety and help them be sleepy through the display. Simply place two pellets on your dogs tongue. You can do this by squeezing the corners of their mouth together to get their mouth to open so you can place it under their tongue. Generally, we just need to give 1 or 2 doses about 15 minutes apart during anxiety and it lasts for our dog for a few hours. In severe cases, you can give this dose once every 15 minutes until the anxiety lessens. Having trouble giving it to your pup or are they spitting them out? If you don’t feel comfortable with placing it under their tongue, or your pup is not having it, you can dissolve them in water and then squirt some in their mouth.1. In a bottle or jar, put 4 pellets in 4 ounces of spring, distilled or filtered water.2. Let the pellets dissolve for about 5 minutes.3. Put on the lid, shake vigorously and then give the bottle a couple whacks with your hand (this strengthens the remedy). 4. Squirt 1/4 teaspoon into your pet’s mouth. (I usually use the squirt syringe from the infant tylenol package but THIS will also work). It’s okay if your pup’s teeth are clenched. The medicine just needs to touch the mucous membranes to work. If you can’t get it into the mouth, apply it to the paw pads as it will absorb through the skin. Make sure to give the remedy on a clean palate – no food in the mouth. Do NOT mix it in their food – it won’t work. Keep any of the remaining remedy in the fridge for up to 2 weeks. Beforehand, set up a safe place for them to hide. If left outside, many dogs may run away! The smoke also messes with their sense of smell so they can easily get lost and be scared to come home or not know how to get there. Set up their dog bed/crate in a cozy spot. Being enclosed helps them feel safer so you can get some blankets and pillows out and they will dig themselves a little nest. I love these dog cubbies that pups can snuggle into for that safe/cave like effect! Turn on another noise. In addition to being able to hear much more than humans, dogs also have the ability to choose what they listen to. (Does it ever feel like they don’t hear you when you call their name?–They might not!). Playing some soothing music or turning on the TV will help provide something else for your pup to listen to. While the fireworks will be overpowering, the other noises will help in between. Try a Thundershirt. A Thundershirt provides constant gentle pressure can help to calm anxiety, fear, and over excitement. This product only works on about 80% of dogs but I think it’s worth a try! 3. Massage special pressure points. Dogs, like humans, have spots that can be used to help alleviate stress. While snuggling with your pup, do small circles on the top their head–often there is a small indent. Then rub the spot on their nose just after their tear ducts, like the human equivalent of sinuses. Lastly, give your pup long strokes from their shoulder blades to the start of their tail. Easy No-Sew DIY Best Nursing Tank Ever–Under $5!